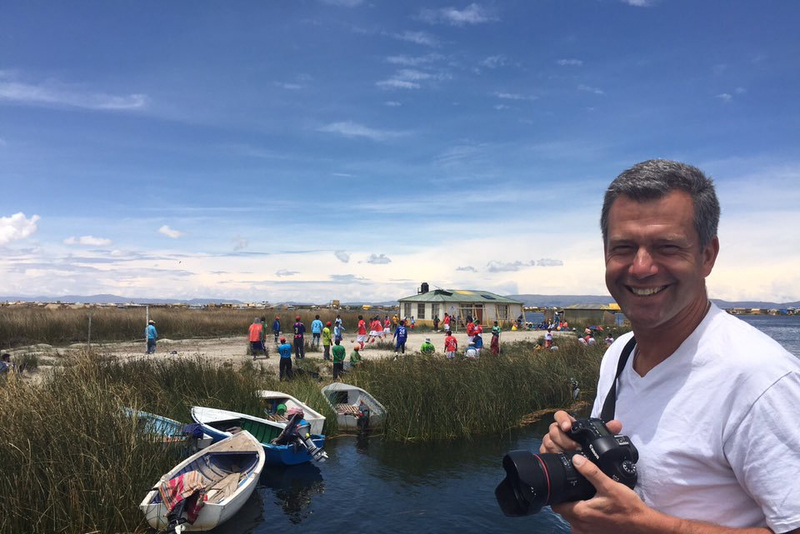 California State University, Northridge professor Chris Bolsmann watches a soccer match on Lake Titicaca in Peru. 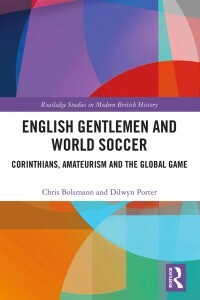 Bolsmann co-wrote “English Gentlemen and World Soccer: Corinthians, Amateurism and the Global Game,” in collaboration with Dilwyn Porter, an emeritus professor at De Montfort University, which was published by ​Routledge. Photo courtesy of Chris Bolsmann. California State University, Northridge’s Chris Bolsmann, a kinesiology professor and South African sociologist, recently published a history of the Corinthians Football Club, a London-based soccer team from the 1880s through the 1930s, which is credited with popularizing the sport around the world. “English Gentlemen and World Soccer: Corinthians, Amateurism and the Global Game,” written in collaboration with Dilwyn Porter, an emeritus professor at De Montfort University, and published by Routledge, ​tells the story of the English soccer team that traveled the world and helped spark interest in the game around the world. “English Gentlemen and World Soccer: Corinthians, Amateurism and the Global Game,” written by CSUN professor Chris Bolsmann and Dilwyn Porter, an emeritus professor at De Montfort University, was recently published by Routledge. The Corinthians were a “super club” comprised of top-notch amateur talent that sparked the sport’s popularity in Britain and then toured the world, including Europe, South Africa, Canada, the United States and Brazil. The players were the self-proclaimed standard bearers for gentlemanly values in sport. They inspired teams, including the most popular club team in Brazil, Sport Club Corinthians Paulista in Saõ Paulo. While much has been written about the Corinthians, mainly by club insiders, Bolsmann and Porter’s work is the first complete scholarly history to cover their activities in England and in other parts of the world. It examines the club’s role in the development of soccer and fills a gap in existing literature on the relationship between the progress of the game in England and globally. The book also re-examines the sporting ideology of “gentlemanly amateurism” within the context of late-19th century and early-20th century society. It took several years to complete “English Gentlemen and World Soccer” because of the extensive research needed around the globe.